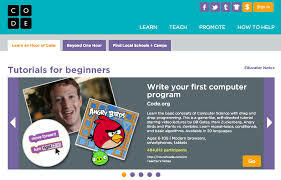 An Hour of Code: It’s Fun! I know nothing about computer programming. When I copy the “embed” codes to include videos in this blog, they look like alien script. So when I heard about the global movement to have teachers and students engage in an Hour of Code, I’ll admit I was dubious. It sounded important, but was it for me? Turns out it was. If you are dubious, too, keep reading! So what’s the Hour of Code? December 8-14, in honor of Computer Science Week, teachers all over the globe are helping their students participate in an hour of computer programming. And here’s the best part: You don’t have to know anything about coding to manage it! And the second best part: By the time the week is over, I suspect you will have decided coding is fun. It might help to start with a bit of inspiration. But the truth is, inspiration isn’t what made me want to participate—coding was. I thought, “I can’t write about this without trying it,” so I did. And then I didn’t want to stop. Start with the tutorial for beginners. It says it’s for ages 4-104. You fit in there somewhere, right? Using simple drag and drop commands, you can move that angry bird around. If you want, you can look “behind the scenes” to see the code you are creating. But most important—it’s fun. I truly didn’t want to stop to write this. I wanted to keep playing….that is, coding. Directions for teachers couldn’t be clearer, and are set up for rooms with lots of computers, a few computers, or no computers at all. There are leveled tutorials for students, so if (when) some of your students are way beyond you in coding knowledge, no problem. There are levels available for all. And once the Hour of Code is over, the website includes more resources for educators, or a handy link if you want students to be able to progress independently. 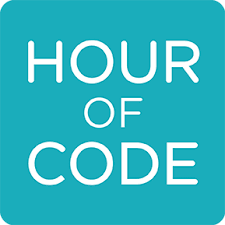 If you’d like to envision your role as a teacher, check out one more video, or start exploring the Hour of Code website. You’ll be glad you did. Now, do you think I have time to code some more? « What is Your Classroom Saying?